Notes The LVT-3 was a new design developed by Borg-Warner. It featuring a rear ramp which was made possible by the main Engines being fitted to side sponsons. It had narrower tracks which were rubber bushed and carried a similar armament to the LVT-A2. 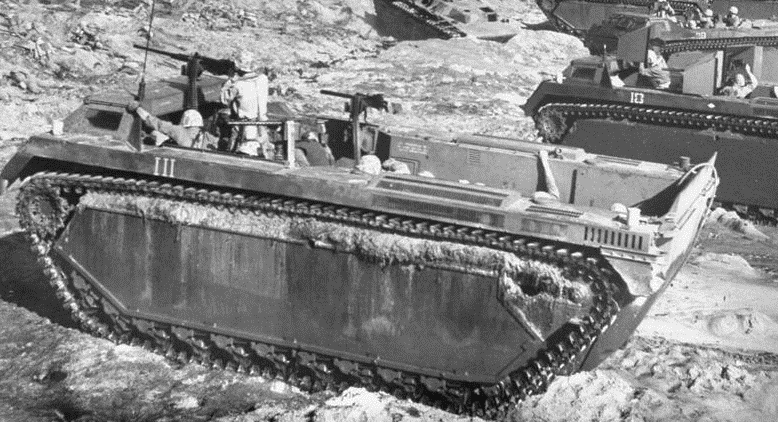 The LVT-3 first saw action at Okinawa and went on to serve in the Korean War.